Components: dried unpeeled pumpkins, sugar. 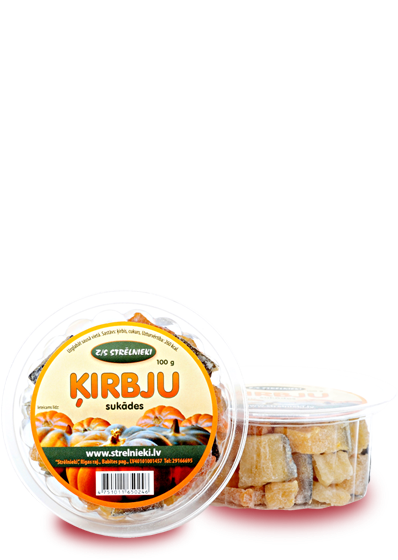 The energetic value of 100 mg of the product is 310kcal/1298 kJ. Contain much fibber. They are dried in a low temperature.